Indian Country lost a longtime proponent for Native American rights and programs Aug. 25, as former U.S. Senator and Presidential nominee John McCain died at 81. The Navy veteran served Arizona in Congress since 1982, serving his first two terms as a Representative and the later terms as a Senator. Throughout his time, he created a reputation for charismatically defending various issues, including those related to Native American tribes. McCain worked to improve federal-tribal relations up until a few months prior to his death by serving on the U.S. Senate Committee on Indian Affairs. Such actions included creating a bill to expand Amber Alert systems on Native American reservations, honoring the Navajo code talkers, sponsoring bills to protect cultural sites and artifacts and fighting for tribal education rights and initiatives. This tireless relationship he developed with the Native American community was honored at his Arizona memorial service on Aug. 30 at the North Phoenix Baptist Church. 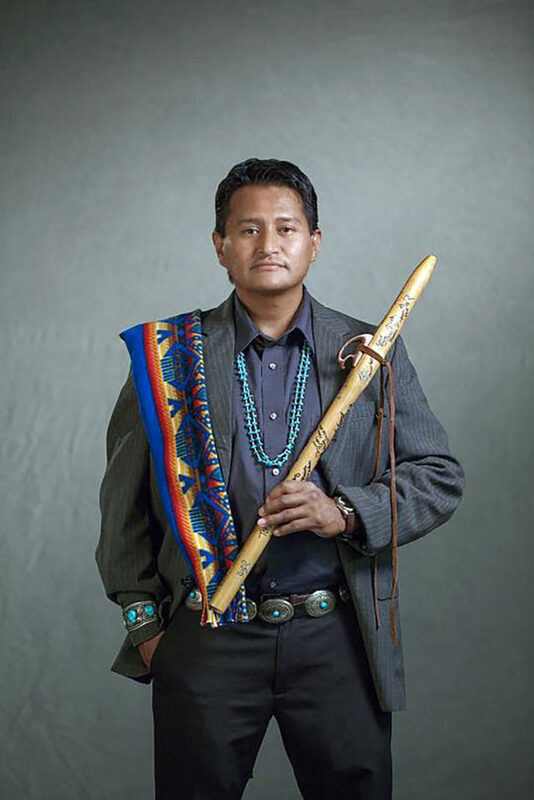 Navajo flutist Jonah Littlesunday, who has competed on “America’s Got Talent” and has won several Native American Music Awards, performed a hymn as tribute to the Arizona senator. Cindy McCain, the Senator’s wife, and Meghan McCain, his daughter, asked Littlesunday to perform after meeting him at an event April 4 that honored Sen. McCain and the late Rep. Morris Udall for their work helping the Grand Canyon. Although Sen. McCain was not always in agreement with tribes – he helped sell Apache cultural site Oak Flat to mining companies in 2014 – Native leaders paid their respects to the politician as well. Russell Begaye and Jonathan Nez, president and vice president of the Navajo Nation, respectively, also attended the memorial service. Sen. McCain regularly worked with the nation and nationally commended the tribe for their efforts in combatting human trafficking in their area. Littlesunday explained that part of Navajo culture is not speaking ill of the deceased, especially about politics. “An enemy or a friend, they all gather together to honor the person. … We don’t hold grudges and those that do, that is on their own, but as a people we always honor and that’s just something that’s part of our ways,” he said. The Navajo Nation issued a statement Sept. 5 to share a similar sentiment. Sen. McCain was buried Sept. 2 at the U.S. Naval Academy Cemetery in Annapolis, Maryland.